Please find below another wonderful post in Bulimia coaching series . 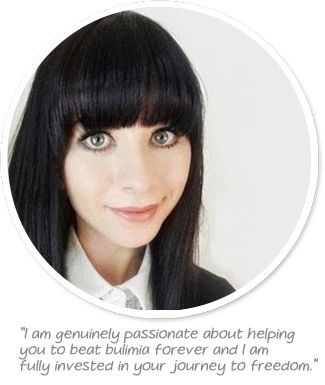 Here Catherine Liberty Bulimia Recovery coach talks us through relapse. Relapses are a normal part of the recovery process and they DO NOT mean you have failed. Of course it’s true that relapses can be exhausting and confusing experiences, but I really want to reassure you that whether you experience 5 relapses or 500 relapses throughout the course of your recovery, they’re still not going to stop you from recovering unless you let them. The trick is to make a commitment to learn from your relapses, to understand what they’re trying to tell you, and to adjust your recovery accordingly. I promise you that the insights you gain and the lessons you learn during episodes of relapse are what will make full recovery possible in the end. I honestly believe I could never have fully recovered from bulimia had I not experienced my fair share of relapse along the way. So before you abandon your dream of a healthy, happy, bulimia-free life entirely because you’ve relapsed, I really want you to challenge yourself to see things a little differently. Try to be patient with your recovery, practice treating yourself with the compassionate understanding that you deserve, and avoid writing off an entire day as a failure if you do relapse. Instead see each day as a series of segments that can be a collection of positive and challenging moments. You have to remember that right now you are in the process of recovering from a life threatening eating disorder. You are facing so many fears and making so many changes. It’s going to be hard. You’re going to make mistakes, and you’re going to fall down more times than you ever thought possible. But in the end all that matters is that you continue to stand up again after the fall and that you learn from the experience. Trusting that is hard I know, but the truth is that there is nothing recovery can throw at you that you can not overcome. You do not need to experience a perfect recovery in order to recover.